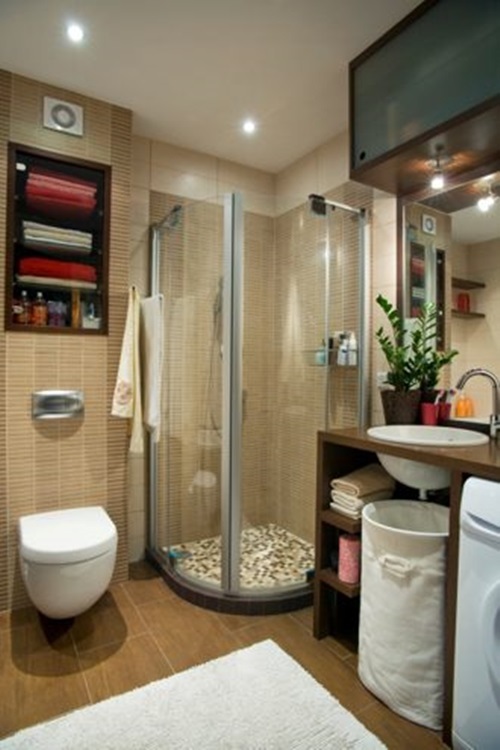 Your bathroom shower area is the place of relaxation for many people instead of the tub. 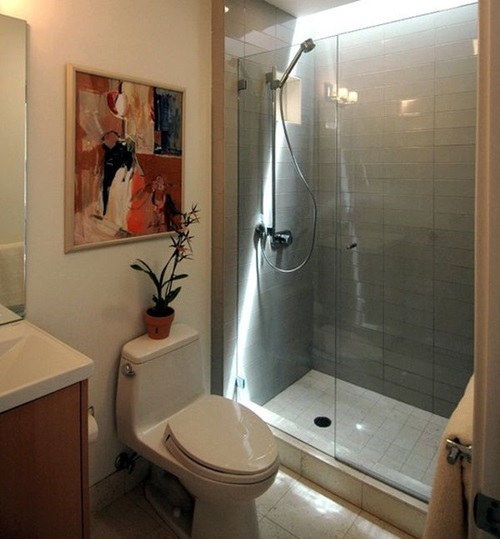 Its design depends on the space and style of your bathroom in addition to your budget. 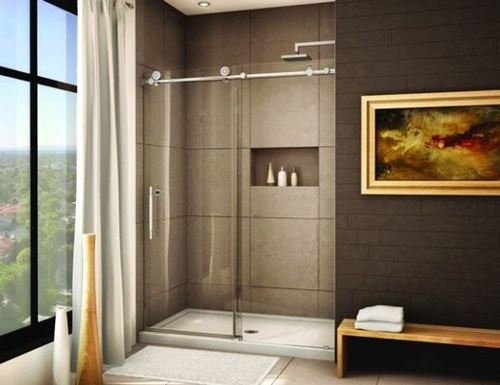 You can choose the design that will match your taste and will give you the utmost feeling of relaxation. 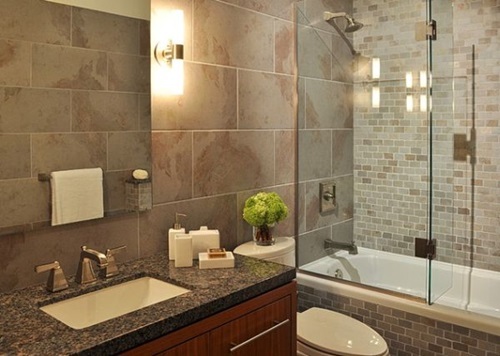 The walk in shower design with slate or marble showers will give your large bathroom an elegant and sleek look. 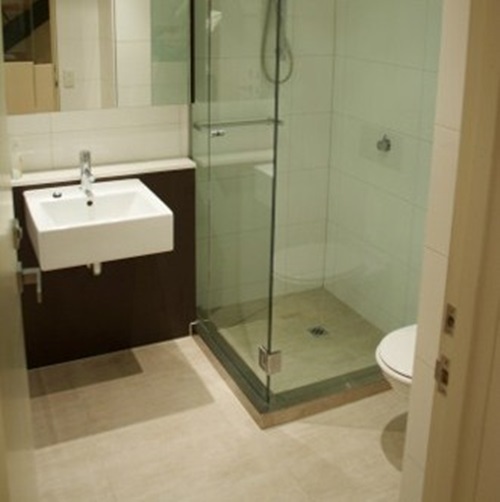 It can be designed with three sides or as a completely opened area. 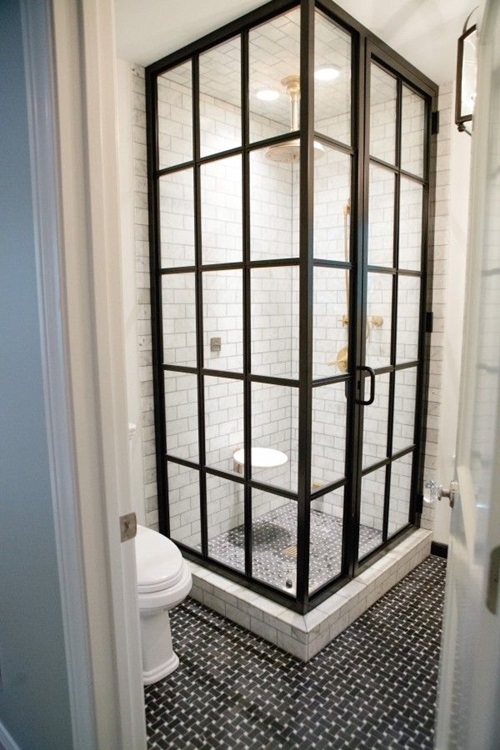 In this design, you can use a barrier to limit the water to the shower area or let it to flow into the bathroom. 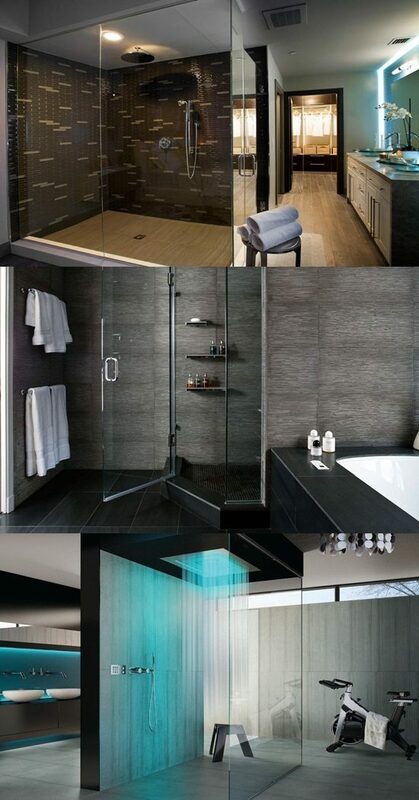 The spa walk in shower design needs an airy and spacious space with white lights and extremely elegant materials to give you the utmost feeling of relaxation. 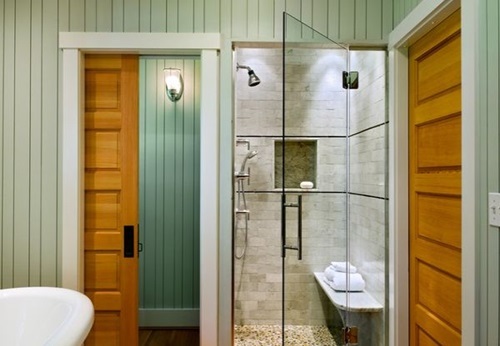 The open shower design with a slanted floor is popular in the large bathrooms because it needs a space to prevent the shower water leaking into your bathroom. 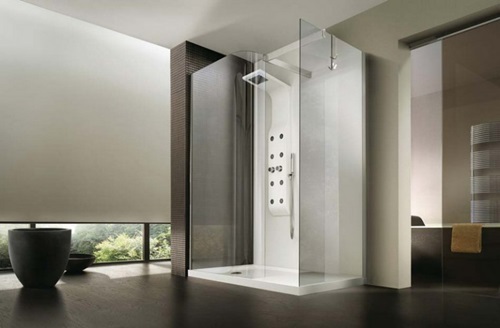 You can avoid this problem by designing the shower area around your shower chamber specifying the corner for the drying off task. 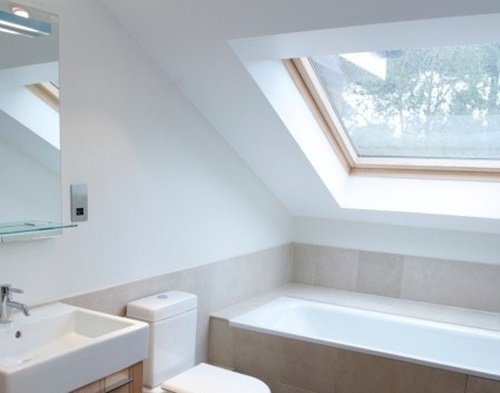 The corner shower area will go well with your small bathroom to save more space for the other sections. 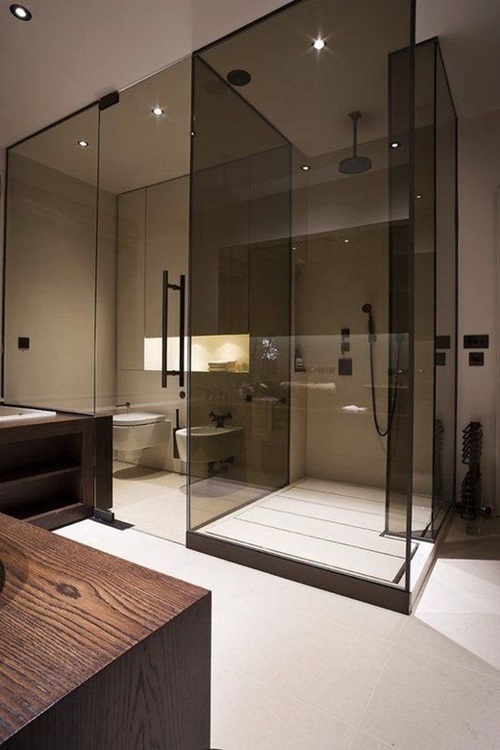 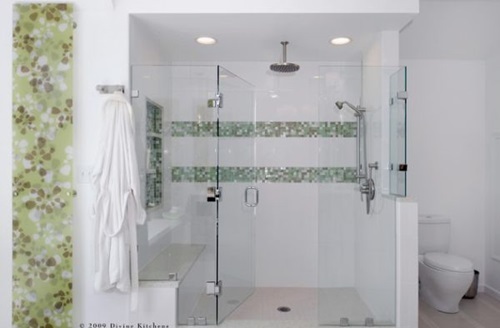 The corner shower can be closed by a frosted acrylic or a curved glass door or a nice curtain. 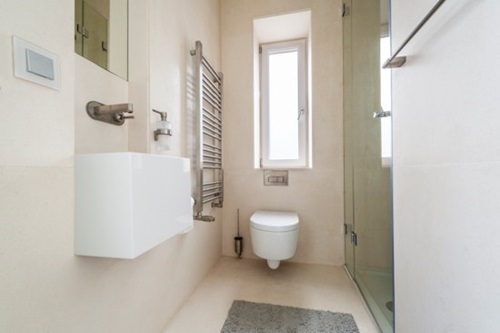 This area should be clean and uncluttered to leave an adequate space to take your shower standing or seating on a stool. 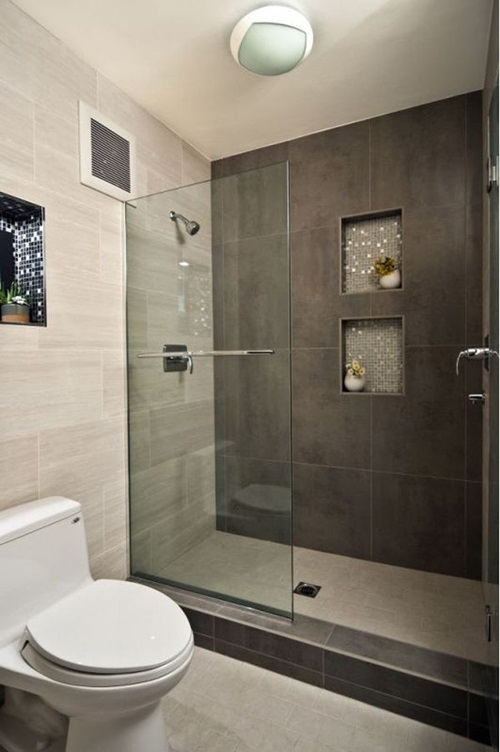 Try to use small floor tiles with rough textures such as mosaic, ceramic, or stone pebble tiles to be aligned towards the nearest drain. 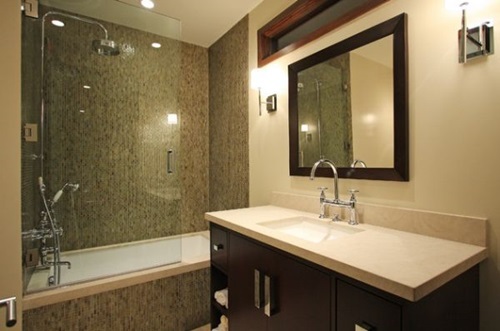 The patterns or strips on the floor can unify the look of the area using the same color of the wall tiles or the metallic colors of the faucets. 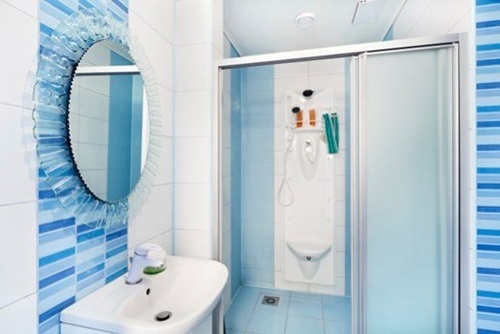 If your bathroom is designed in the modern or ultramodern styles, the high-gloss tiles on the floor and the glass tiles on the walls will highlight the sleek and clean look of the place.